Dragon NaturallySpeaking is a product of Nuance Communications, a multinational computer software technology company headquartered in Burlington, MA. Nuance Communications is the world’s leading provider of speech and optical character recognition technologies. Dragon NaturallySpeaking is their top performing product, the world’s first continuous voice recognition application based on speaker dependent speech and algorithm technology. Dr. James Baker was the first to design this technology in 1975, then simply referred to as Dragon. In 1982 he and his wife Dr. Janet Baker founded Dragon Systems, named after her love for Dragons. Dragon, still in its infancy wasn’t considered continuous speech recognition until 1997 with the release of Dragon NaturallySpeaking v1. Back then, Dragon NaturallySpeaking was for personal use and required a high powered PC to operate. As we know, times have changed, thanks to the advancements in hardware and software technology, today; Dragon NaturallySpeaking is the most widely used speech recognition application in the world. 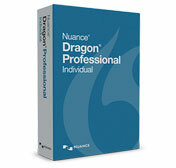 Nuance Communications recently released the latest version, Dragon NaturallySpeaking v12. DNS v12 comes in several editions: Home, Premium, Professional and Legal. Dragon NaturallySpeaking Home is considered the starter edition and is available in several languages. The DNS Home edition allows you to turn your voice into text quickly and accurately. This limited edition is ideal for students. A step up is the Dagon NaturallySpeaking 12 Premium edition. DNS Premium, also very fast and accurate, provides additional functionality not available in the Home edition. To name a few, DNS Premium works with additional applications like Excel, PowerPoint and provides Advanced Correction and Editing features through synchronized audio playback. Mobile users will be happy to know Dragon NaturallySpeaking Premium allows total mobility with the use of digital voice recorders and smart phones. Premium is ideal for casual users. For professional dictation needs, Dragon NaturallySpeaking 12 Professional is the way to go. The Professional edition offers a number of advanced features as well as a more advanced speech algorithm designed to learn and adapt to the speaker. This advanced technology understands the statistical probability of what you’re going to say, which provides better accuracy. DNS Professional users have several enterprise administration and transcription tools available, which provide advanced routing options and reduces transcription costs. Advanced custom command and template options provide a far better out of box experience for professional users. DNS Pro is ideal for the Real Estate, Education, Law Enforcement, Insurance, Social Workers and Journalists. Dragon NaturallySpeaking Professional is Section 508 compliant, VB compliant and provides users with the ability to customize the application with the use of Advanced Custom Commands. Dragon NaturallySpeaking Legal includes all of the features and functionality found in the Professional edition with the addition of 30,000 legal specific terms, including Latin and French phrases and provides Automatic Case Citation formatting. Dragon NaturallySpeaking is packed with features and can be completely customized to work the way you work. The key to being successful with speech recognition is proper configuration and training. Let us take you to the next level. We at Certified eSupport know the solutions offered by Nuance Communications inside and out. As Certified Trainers, we offer affordable, annual support and maintenance packages to insure you get the help you need. Allow us to train and perform that customizations needed to raise the quality of care and guarantee the Return on your Investment.